Wild horses are celebrating this month as a federal plan to round up, impound, and sell about 100 wild horses that live along the Salt River in Arizona has been axed. 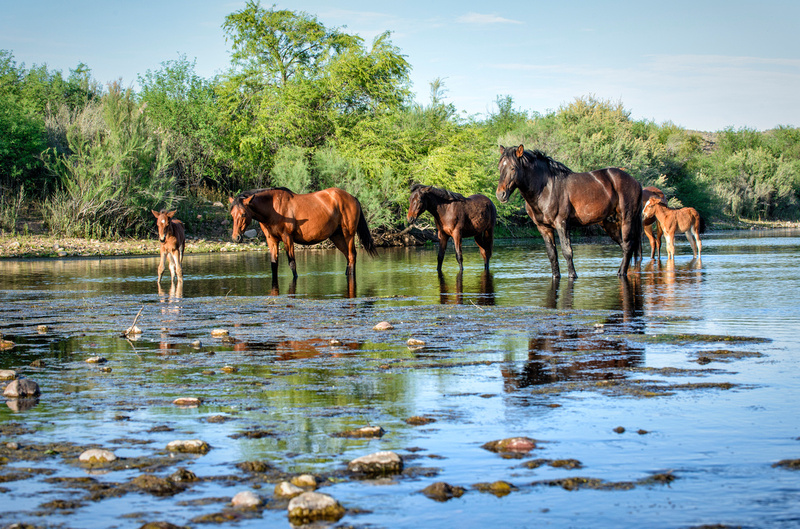 The U.S. Forest Service published the impound notice late in July, putting at risk the 100 or so horses that live along the river, which flows through Tonto National Forest. The decision caused public outcry among residents and conservation organizations including the American Wild Horse Preservation Campaign, Animal Recovery Mission, and the Salt River Wild Horse Management Group (SRWHMG), which mounted a well-organized social media campaign to save the horses. Wild horses say “Nay” to government’s planned roundup. Within a matter of days, the U.S. Forest Service backed down in a matter of days, putting in place a 120-day suspension of the impound, according to SRWHMG. Since the horses live outside formally designated herd management areas, they do not receive any protection under the 1971 Wild and Free-Roaming Horses and Burros Act. The famed herd of wild horses are threatened with eradication due to the fact that they’ve been deemed “strays” as opposed to “wild,” despite the fact that the horses have ties to the area stemming back over a Century. According to a Forest Service official, the horses supposedly pose a safety risk, but there have been ZERO reported human/wild horse injury related incidents in the area. The U.S. government has been regularly rounding up wild horses across states like Montana and Wyoming in order to make room for cattle grazing and commercial developments. Because of this, wild horses are impounded and shipped to holding facilities in the hand of the U.S. Bureau of Land Management (BLM) and auctioned off for “adoption.” However, more often than not, wild horses are “adopted” by slaughterhouses that supply large overseas markets for horse meat. In fact, adopted animals can quickly find themselves in auction houses, with no protection from being purchased by kill buyers whose primary goal is to make a profit by shipping horses direct to slaughter. 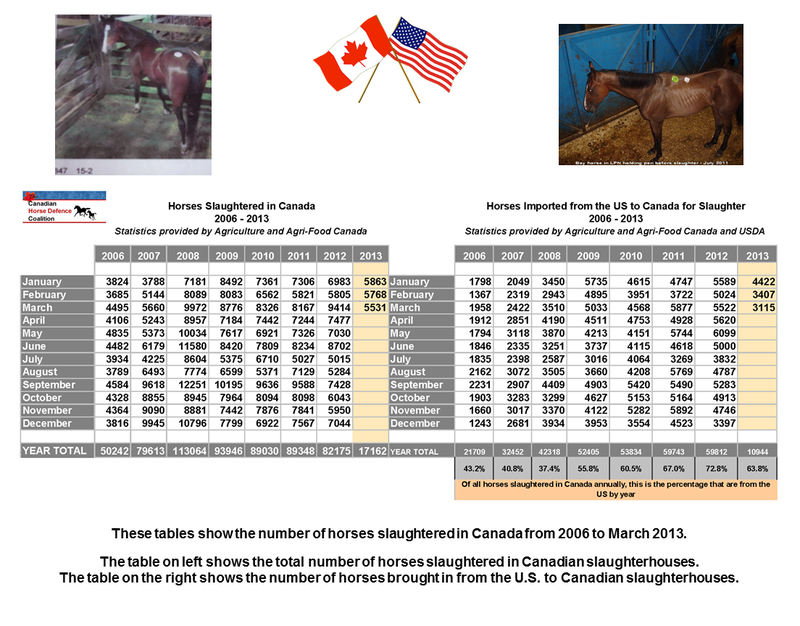 It is estimated that nearly 100,000 horses are shipped to Canadian and Mexican slaughter plants every single year. A petition has also been set up at Change.org in an effort to halt the Forest Service’s plans. Make your voice heard by letting your representatives know that wild horses deserve protection and help ensure that the halt on the plan to round up the Salt River horses lasts far longer than 120 days.